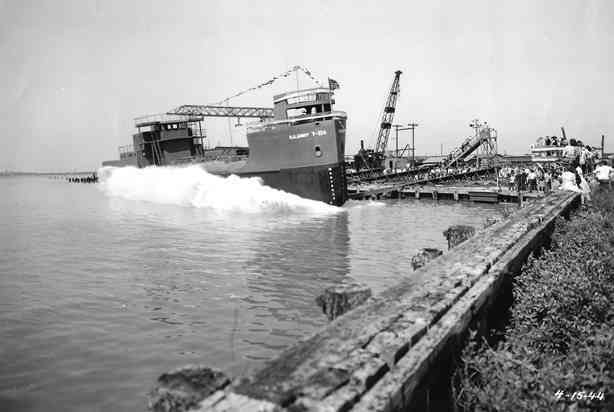 In 1934 John H. Odenbach and the Dolomite employees starting building self-propelled barges to move crushed stone thru the NYS Erie Canal for numerous construction projects. 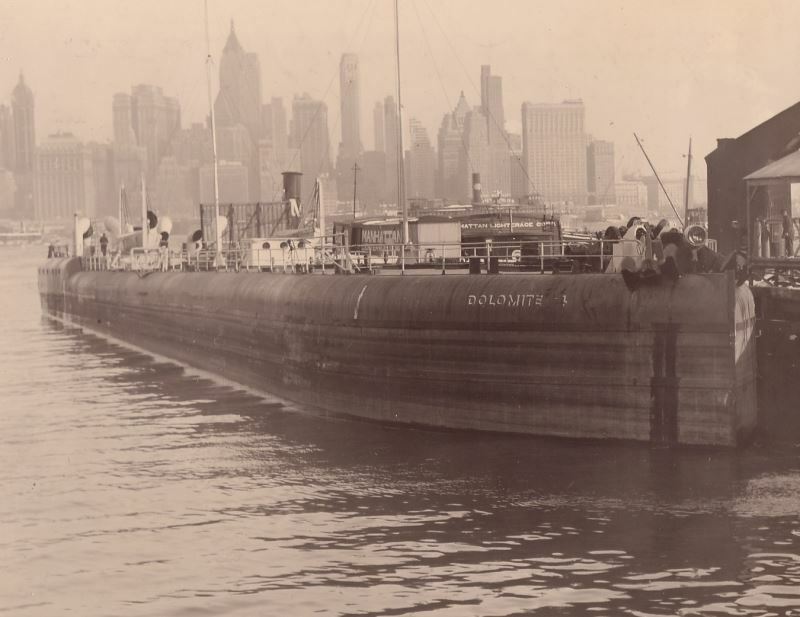 Later in the 1930’s the Odenbach Shipbuilding Corporation built larger ocean going ships named Dolomite I to IV. 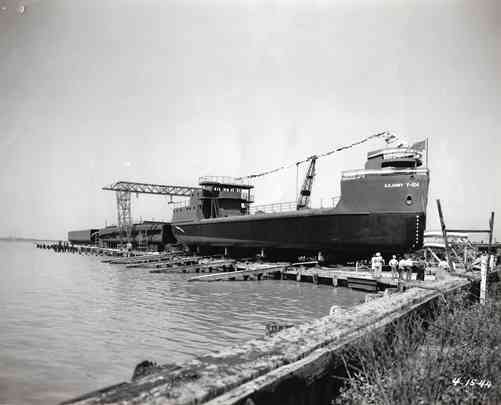 These nickel lined ships moved caustic soda to Texas and molasses back north from Havana, Cuba. These ships were all sunk by German U-Boats during WW II along the East Coast. All Dolomite quarries and construction shut down when World War II broke out. 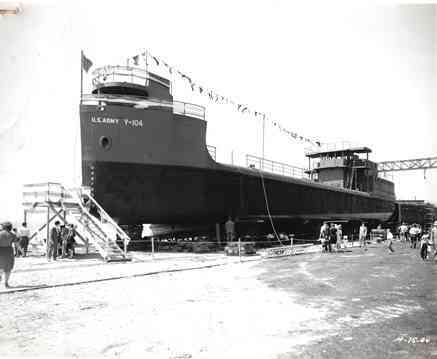 Most of the Dolomite employees went to work for Odenbach Shipbuilding (John H. Odenbach), building landing barges and shallow draft oil tankers, called Y-boats, for the war effort. 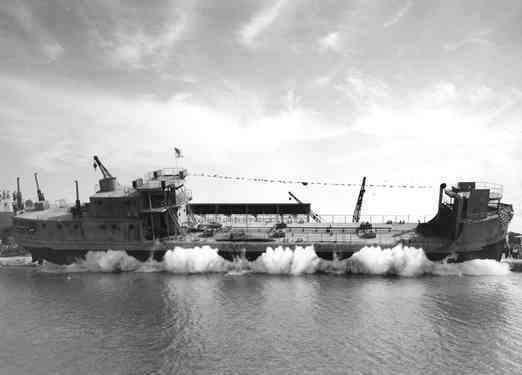 From 1941 to 1945 the Dolomite Group built these 632 ton, 182 ft. coastal tankers at an unprecedented rate of one completed every two weeks.